I have Creo 2.0 M010 installed and heard that the new Freestyle Modeling option is packaged as part of all versions as standard, yet I do not have it. I checked my Configured Option Modules under License Information and the Freestyle_Modeling_Extension is installed. Under the Customize the Ribbon, the Main Tabs available are: Model, Analysis, Annotate, Render, Manikin (do not have installed), Tools, View & Applications, no Freestyle Modeling. The Freestyle Modeling command is also not available under the All Commands listing either. I believe Freestyle Modeling should be a Main Tab. My menu definition.pro file is coming from C:\Program Files\PTC\Creo 2.0\Common Files\M010\text\menu_def.pro, so that should not be an issue either. Am I missing something? How do I enable an option that I have and is active on the license server? No, Flexible Modeling is -NOT- part of the base package. You can see if the Flexible Modeling extension is added to your license pack, but I doubt you'll find it unless you paid for it. The only thing you get by default is Mechanism... and you have to remember to install it. I was fooled too as I received a trial license which included the Flexible Modeling Extension only to find out after paying that it cost extra and requires additional maintenance cost every year. Freestyle is just a command in the Surfaces group. 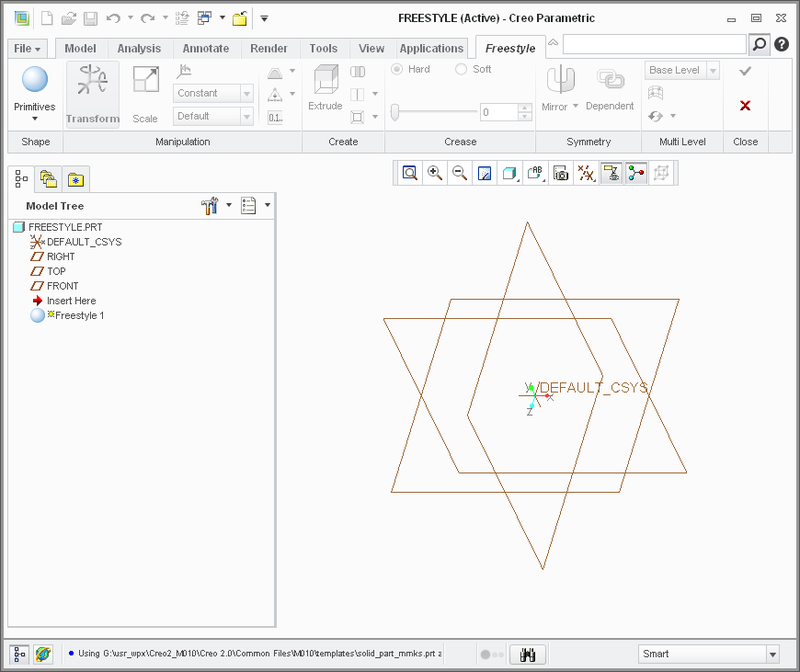 Creo Freestyle Design (code 325) and Creo Flexible Modeling (code 326). 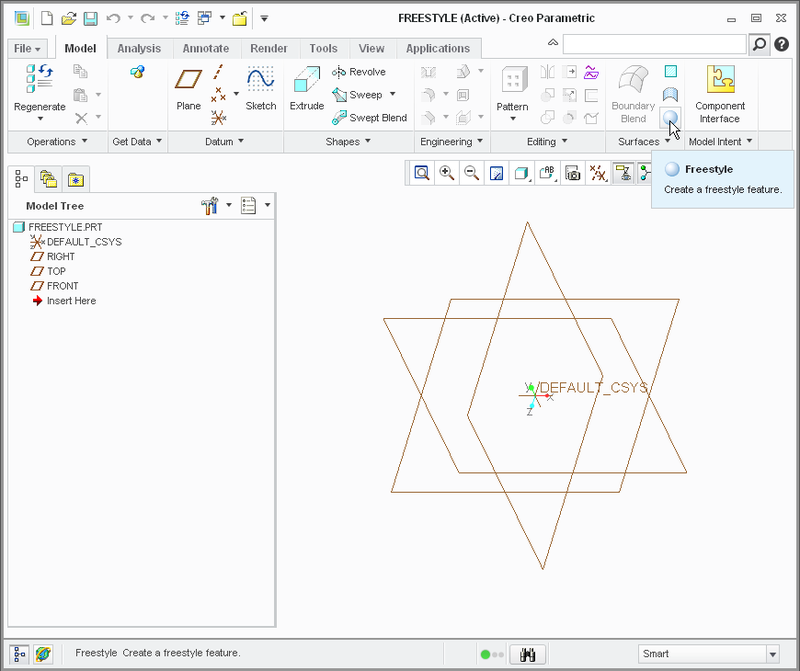 Creo Freestyle Design was automatically added into any Creo Parametric license (in Creo 1.0). It is free of charge. It enables user to create freestyle features. Creo Flexible Modeling is commercial module. 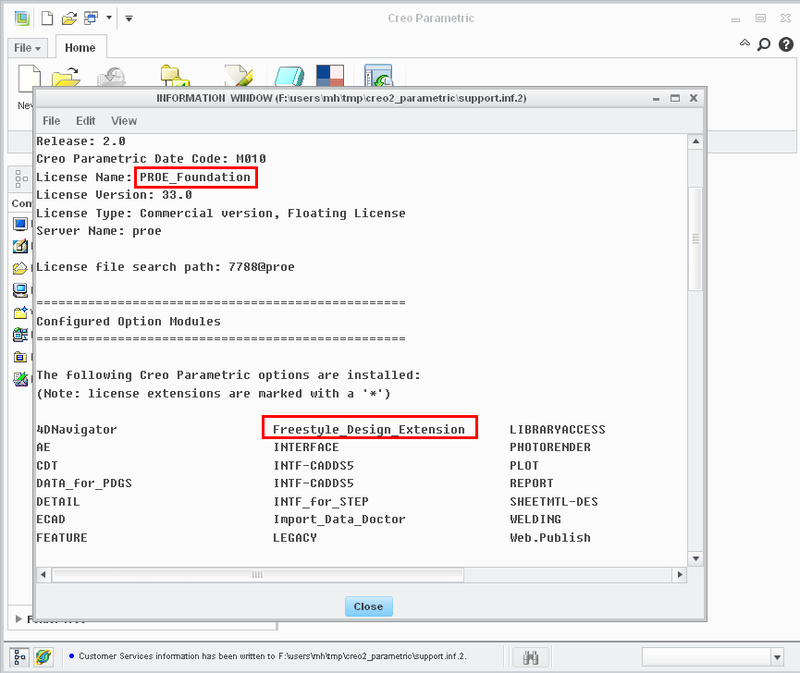 You have to buy Creo Flexible Modeling Extension, if you want to use it. It enables user to modify existing geometry of the model using Direct Modeling functionality. User cannot create new geometry. Thanks Martin for your input. 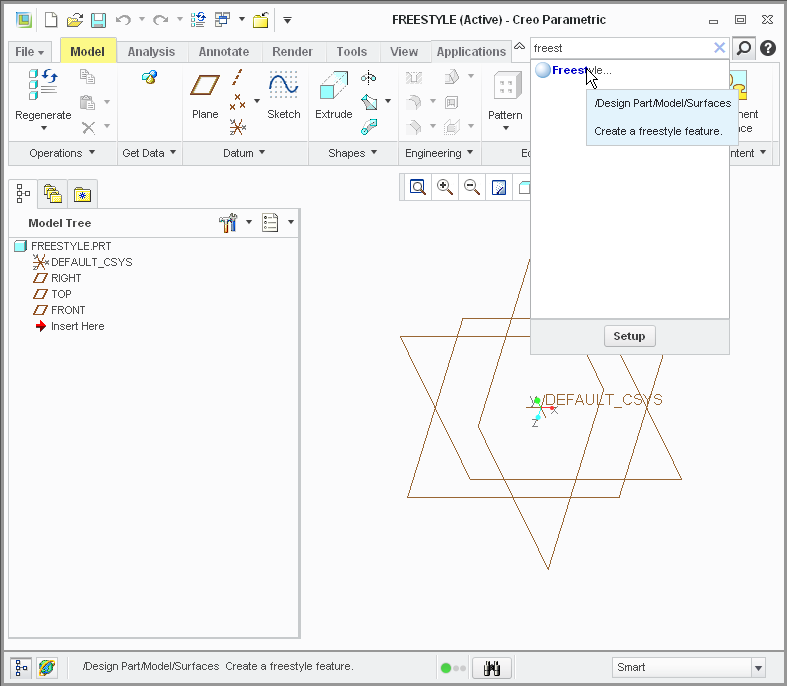 You speak of "Flexible Modeling" & "Freestyle Design" modules, but PTC referred to it as "Freestyle Modeling". I guess we will have to wait until M020 is released next month to see exactly what is included or not. I do not believe that Freestyle Modeling is a freebee at all in Parmetric for the Tab in the Ribbon is not even an option. in my Creo Parametric 2.0 M010 installation Freestyle feature is available. See following pictures. I suggest you to uninstall Creo 2.0 completelly and then install it once again (ie. make new clean installation). Updating existing installation leads to unpredictable software behaviour. 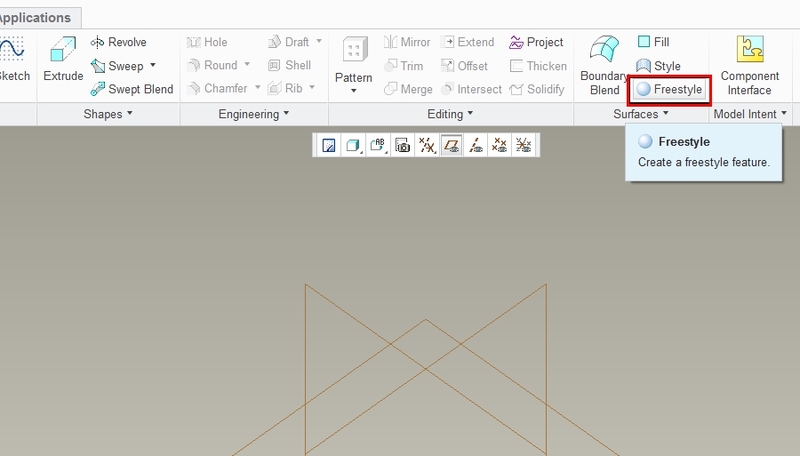 Just to confirm, Martin is correct, the Freestyle "feature" is included in Creo 2.0. This did installed by default without any special consideration. I have noticed a lot of confusion in all the new terminology used with Creo these days.